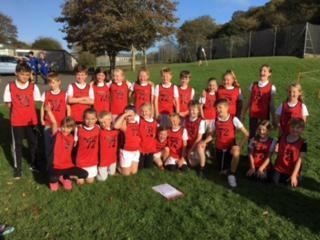 The 12th October saw the second of our season of Cross Country races at Coombe Dean School. We were lucky with the weather as although it was muddy underfoot, it stayed dry throughout the race. The children were excellent, giving their all in each race. Special mention goes to Charlie (y3) who (although having a broken arm) achieved a superb 4th place, narrowly missing out on 3rd in the final stages! We are looking forward to the city championships at Staddiscombe in the coming weeks.